It’s wonderful to see how folks take Anglo-Saxon politics and apply it to the world today. No matter your political strip, I hope we can all agree that a historical long view–and a sense of humor–are good things! 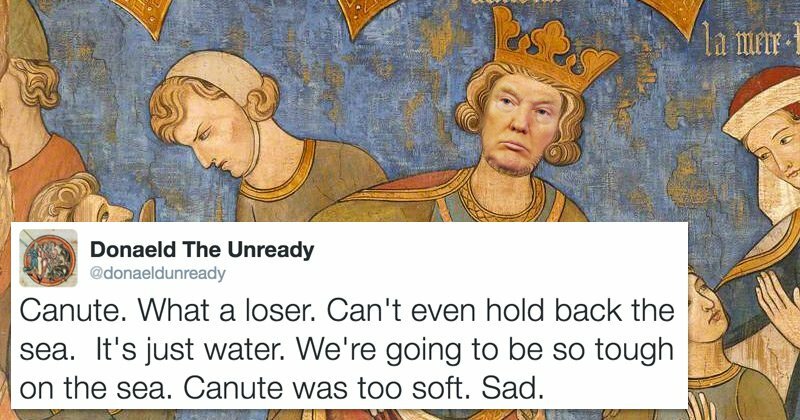 Be sure to check out more tweets from Donaeld The Unready. My favorite? Drain the Fens.